I don’t even know where to start…I LOVE this book. It is my most-read book ever (5 times, at least). I am kinda sorta in love with/hero worship/want to be Roald Dahl. AND this book may be a major contributing factor to my love of Africa. If that’s not a recommendation, I don’t know what is. I was at the used bookstore in Easter Market about a month ago when I saw Going Solo on a stack. I just had to buy it. (I think my original copy is at home with my parents. I was in between books, needing something to read, and there it was. Even though the last time I read it (according to my book log) was 2002, every chapter is familiar. I still hear it in the voice of my mama, the way she read it aloud to me and Sister1 the first few times. 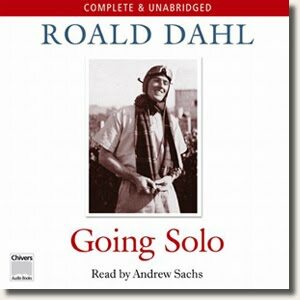 You may be familiar with Boy, Dahl’s first autobiography (remember the rat in the candy? Or the goat poop incident???). 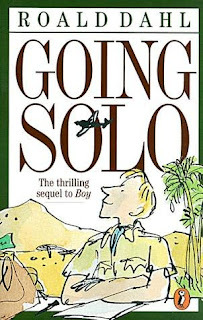 Going Solo picks up where Boy left off, with Dahl on a ship sailing to East Africa to work for Shell Oil. 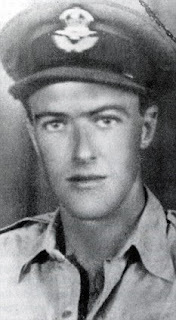 He works for Shell in Tanganyika, and then enlists in the North Africa Royal Air Force (RAF) once World War II begins. Dahl’s writing style, as well as his real-life experiences, are better than any fiction you could imagine. His harrowing encounters with snakes, lions, and German aircraft are interesting and fun to read. He clearly doesn’t take himself too seriously and has a natural knack for story-telling (plus more lives than a cat!). Going Solo is a GREAT book, no matter what your age. It’s exciting and fun – one of those books you just can’t put down.